Are you in a relationship with someone that you see often, but you feel so disconnected with them? This could be a relationship with a significant other, kids, parents, other family members, or friends? You long to be more connect, but for some reason the intimate connection is slipping away or it is just gone. Well, I want to let you know that you are not alone. Many people today are feeling the same way, which may be strange because we are living in time period and a society where you can easily connect with that person and 500+ more on social media. However we both know that is not the same. In fact, I have seen many relationships where people live and work together but that close bond between both parties are gone – maybe because of busyness, responsibilities, hurt, fear, or sickness to name a few. As a result, we disconnect. Do you remember how you became part of this world? You were physically connect to someone through the womb – it was your introduction into intimate connections. In fact, touch is the first of the senses to be developed in infants. Thus, physical connection is a human need. Therefore if you feel disconnect, try giving a hug. Research has shown that frequent appropriate physical touches such as hugs increase a person’s physical and mental wellness, strengthens the bond between individuals, promotes trust and security, and makes a person less violent. So if you want more connection and more intimacy with a love one, give them a free gift – a hug from you. Are your currently feeling disrespected, devalued, and/or insecure in your relationship whether it is with a significant other, kids, parents, other family members, or with friends. For example, maybe you sacrifice for a love one by buying something or by doing something special for them but the other person doesn’t seem to appreciate it. Or maybe someone at work or at school hurt your feelings, but the person you go to for comfort does not take the time to check on you. Thus what do you do? Since you are listening to this show, I am assuming you want to bring intimacy back into your relationship. So intimacy starts with you. Therefore, the first thing you need to do is to learn to let out your intense hurts in a healthy manner. For some people, this maybe in the form of journaling, working out, praying, or talking with a confidante. Then the next step is to communicate in an intimate manner with your love one about the disconnection. 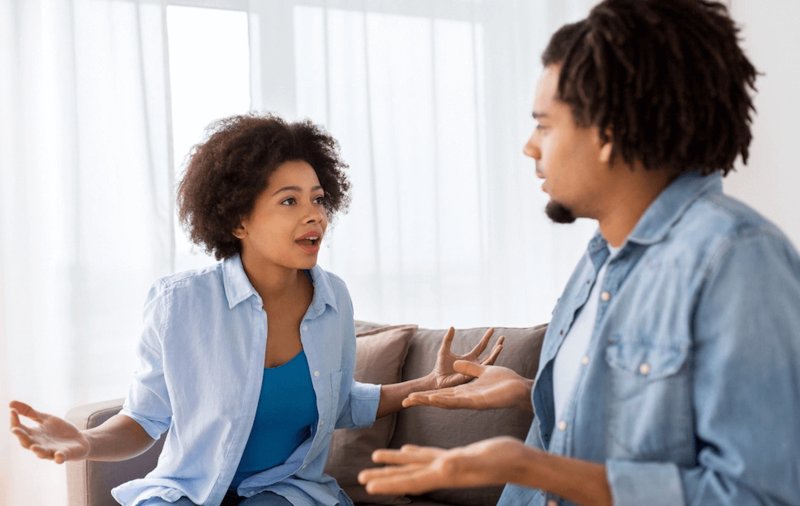 This starts by using “I” statements such as “I feel we are becoming disconnected.” Thirdly challenge yourself to actively listen to why your love one has been so disconnected lately and validate their feelings on the situation. Remember you want to increase respect and security in your relationship, thus you need to be respectful, giving, and compassionate toward your love one. In doing this, you are increasing the communication and emotional intimacy in your relationship. I understand that you are extremely busy these days – doing so much for other people – for your significant other, your kids, your other family members and your coworkers. Have you ever felt like you are going through the motions of your responsibilities and for some reason you feel loss in your own skin? You look around and you don’t know how you got to this point in your life and you are feeling stuck – like the game of life is playing and you are on the bench watching it go by (even though you have been trying to do and maintain all your responsibilities). If this is you, you are struggling with connecting intimately with your true self. Well, how do you fix that?